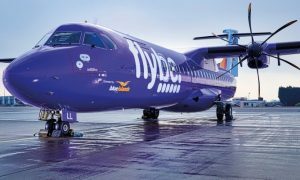 In preparation for its new Flybe franchise taking off on 6 June, the first Blue Islands aircraft to sport the distinctive purple Flybe livery has flown into Jersey Airport completing the first stage of the airline’s repainting programme. 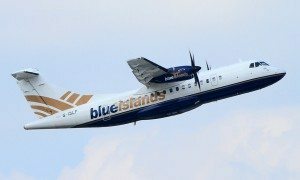 “Blue Islands will still remain an independent locally owned air operator, totally committed to the Channel Islands, flying our own ATR aircraft under the Blue Islands AOC (Air Operators Certificate), without the need for any Government support. 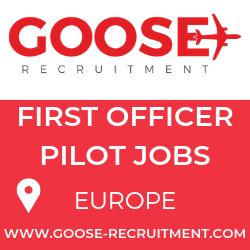 Additionally we continue to employ our own crew, undertake our own maintenance and manage our own handling arrangements. 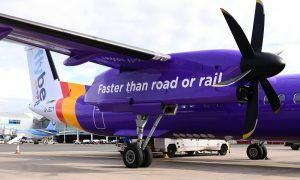 The big business advantage comes from our joint ability to create market growth to secure future viability, whilst also enjoying synergy benefits such as IT systems, web resources, marketing capability and engineering support off-island”, the company said in a statement earlier this year.